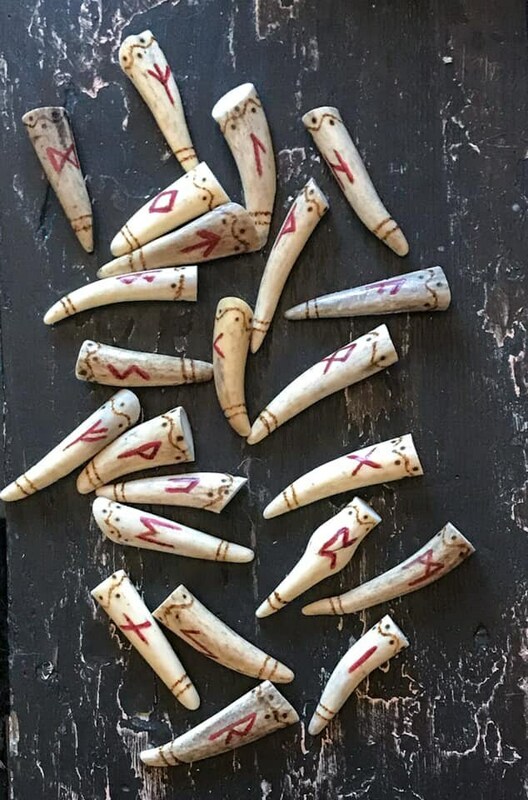 This is gorgeous Elder Futhark rune set made from a mixture of mule and whitetail antler tines. 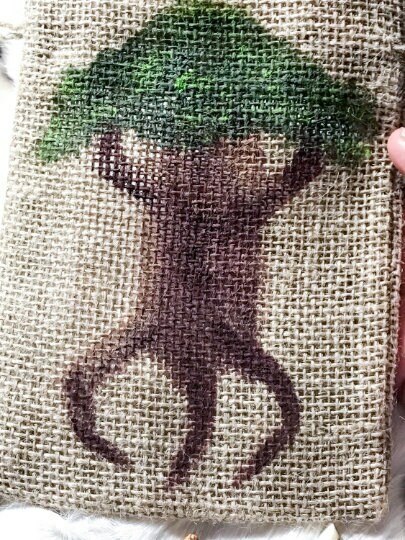 Your set does come with a hand painted burlap bag featuring Yggdrasil. I have burned a decorative design on the ends of each rune and also burned each stave onto the antlers. 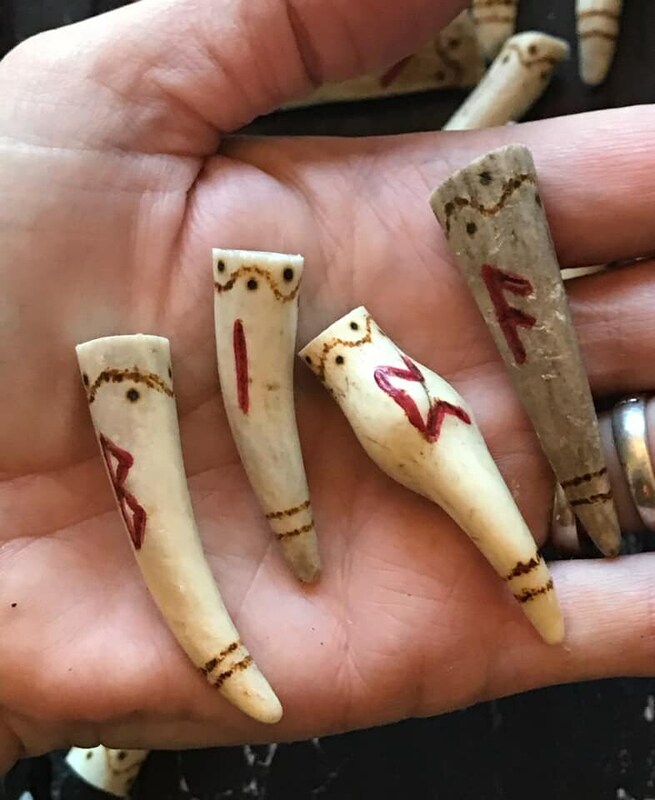 Each stave is then hand painted red. This set is an extra large set with the tips measuring in size 1 1/2 inches to 2 inches. Light coating of protection applied to finish. Absolutely gorgeous set. Just what I was looking for. Crafted and shipped quickly!